CVS Retailed: 30 Halloween LED C3 Lights: PVC insulation containing 0.25% bromine (indicating flame retardant use) and 0.5% antimony and a Big Bop Light Stick: PVC components with organotin compounds (1,400 ppm tin). Kroger Retailed: Flicker Lights: 6.5% bromine (indicating flame retardant use) and 1% antimony, Cars Halloween Bag: 2.8% bromine (indicating flame retardant use) and 0.77% antimony, Princess Halloween Bag: 0.6% bromine (indicating flame retardant use) and 0.24% antimony. Party City Retailed: Silver Princess Tiara: 0.38% bromine (indicating flame retardant use), 0.33% chlorine and 0.09% antimony. 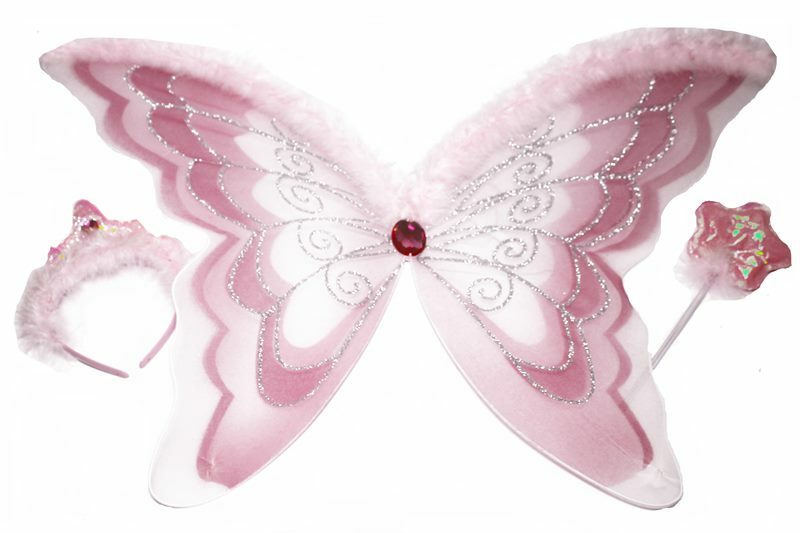 and a Pink Butterfly Set – Wings, Tiara and Wand: PVC components with organotin compounds (1,720 ppm tin). Target Retailed: Disney Cinderella Dress: 0.1% bromine (indicating flame retardant use) in fabric. Walgreens Retailed Disney Wall Art: 16% regulated phthalates, Orange Pumpkin Lights: 6.7% bromine (indicating flame retardant use) and 1.2% antimony in cord insulation, and a Deluxe Fairy Costume Dress and Wings: 420 ppm lead in glitter trim on wings. Tell all your favorite retailers to commit to selling non-toxic Halloween supplies. Avoid any vinyl Halloween products – cloth and natural materials are a safer choice for costumes and decorations. Use colored paint and cosmetic pencils made from clay or other natural ingredients. Use old pillowcases or reusable shopping bags for Trick or Treating. 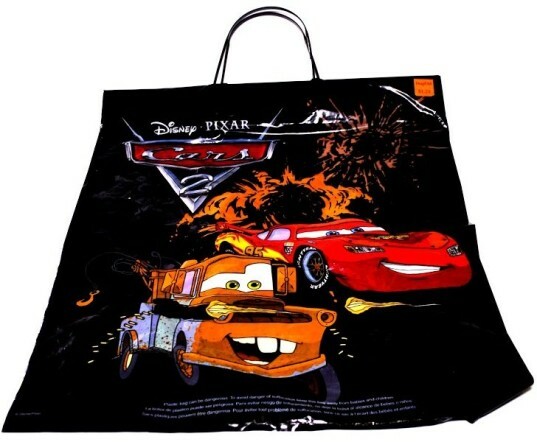 OR upcycle an old T-shirt into a trick or treat bag via our tutorial! Avoid plastic Halloween decorations and instead use paper, cardboard, leaves or other natural and recyclable materials for your decorations. Learn more about this new Halloween study at HealthyStuff.org.